Atlanta — The undefeated Posen Vikings took down the Atlanta Huskies in a fourth quarter thriller, but it was a back and forth battle through the third. Posen’s Sam Brunet contributed a 50-yard run for the 18-14 lead, but Atlanta answered with an 80-yard touchdown pass from Aaron Cuzzort to Trace Juergens. Huskies stole the lead 20-18. Then Vikings go with a trick play on fourth and five for the 30-yard touchdown pass from Mark Wisniewski to Jeremy Misiak. Posen took back the lead 26-20. Huskies fought back in the fourth handing off to Ethan Byrne, and he turned on the jets for 30-yards to the end-zone, tying this one up at 26. 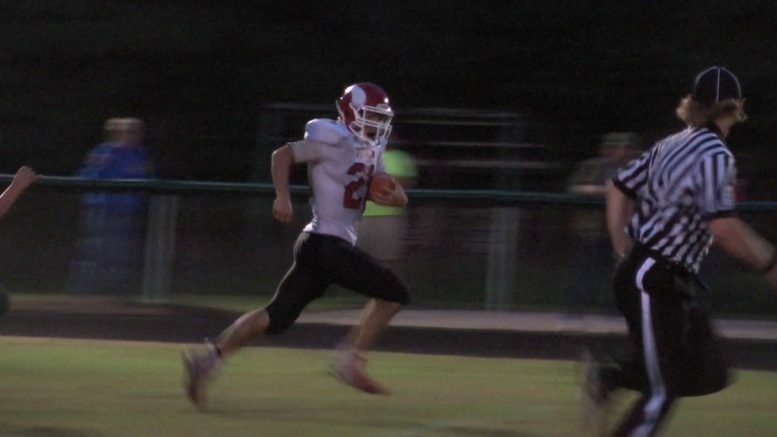 Posen would go up 42-26 after two rushing touchdowns totaling 95-yards scored by Brunet. The senior had 22 carries for 229 yards. The Vikings topped the Huskies 42-26 and go (4-0). Atlanta is now (1-3).